This is Part 24 of a series in which every member of the 2015 Dodgers has his season juxtaposed with an episode of the greatest sitcom of all-time. Don’t take it too seriously. Key stats: Majors: 3 G, 1 GS, 6 IP, 6 ER, 9.00 ERA. AAA: 23 G, 4 GS, 5-2, 2.20 ERA. Dodgers lose Sergio Santos to free agency, retain David Huff. David Huff and Sergio Santos were both outrighted to Triple-A Oklahoma City after clearing waivers. Huff accepted the assignment and Santos did not, electing instead to become a free agent. Huff, a 30-year-old left-hander, has appeared in six games (two starts) at Triple-A and three games (one start) for the Dodgers this season. Santos, a 31 year-old right-hander, had a 4.73 earned-run average (13 &frac13; IP, 7 ER) in 12 games out of the Dodgers’ bullpen this season. Dodgers shuffle roster between doubleheader games. DENVER — The Dodgers dropped Game 1 of their doubleheader Tuesday, 6-3 to the Rockies. You can read about that here. Zack Greinke will start Game 2 tonight, but the bullpen will look very different than it did when the Dodgers set out on their current six-game road trip — even a little different compared to an hour ago. David Huff returns from Triple-A Oklahoma City, might start Game 1 Tuesday. DENVER — Left-hander David Huff and right-hander Matt West swapped places on the Dodgers’ major league and Triple-A rosters Monday. Huff is in uniform wearing number 54 and is available out of the bullpen for tonight’s game against the Colorado Rockies. West was optioned to Oklahoma City after he was recalled, but did not pitch, Sunday against the St. Louis Cardinals. Dodgers add Sergio Santos, option Mike Bolsinger to Triple-A, designate Xavier Cedeno. SAN DIEGO — Xavier Cedeno, like Daniel Corcino, Ryan Dennick, Ryan Webb and David Huff before him, did not last long on the Dodgers’ 40-man roster. 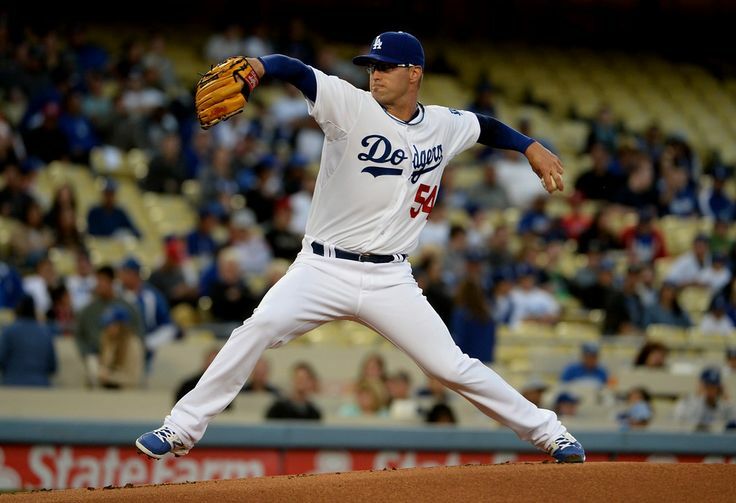 Cedeno, whom the Dodgers acquired from the Washington Nationals for cash considerations Wednesday, was designated for assignment Friday. Sergio Santos has a fairly easy act to follow. 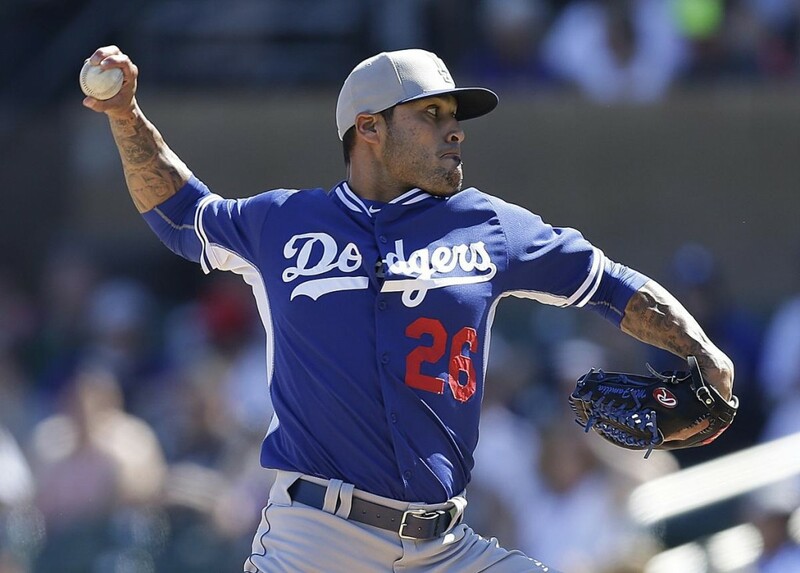 Santos, the veteran right-hander from Hacienda Heights, was added to the Dodgers’ 40-man roster and was brought up for tonight’s game against the Padres. He’ll wear number 26 and should be a fairly attractive bullpen option for Don Mattingly tonight. The Dodgers’ other relievers threw 10 ⅓ innings during the three-game series against the Giants that concluded Thursday, losing two games and blowing one save. Mike Bolsinger, who started Thursday, was optioned to Triple-A Oklahoma City to make room for Santos on the 25-man roster. The Dodgers will carry eight relievers tonight and likely tomorrow, until they need a fifth starter to fill the “TBA” slot listed next to Sunday’s game in San Diego.